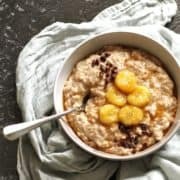 This Easy Stovetop Banana Oatmeal is ready in 10 minutes, making it perfect for weekday mornings when you need a delicious breakfast is a flash. It’s naturally sweetened with banana and is Vegan friendly. I think I might have a banana addiction. I just can’t quit it. I’m not entirely sure that there is a more perfect fruit out there. Not only does it taste great on it’s own, but it lends itself so well to recipes as a natural sweetener. And once I added it to oatmeal I could never go back to my old tasteless porridge that needed six tablespoons of sugar to remove the cardboard taste. NEVER! My appreciation for banana oats is nothing new. I shared my banana maple steel cut oats recipe a year ago now and whilst they still hold a special place in my heart, they have one major problem – they take FOREVER to prepare. 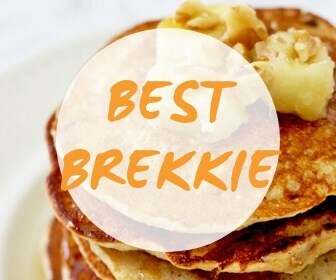 Dedicating 50 minutes to breakfast on a slow Sunday is easy. And you really should because they are delicious. But on a weekday, we need FAST – am I right? And that’s where this Easy Stovetop Banana Oatmeal comes in. In just ten minutes you’ll have a delicious breakfast on the table that will be the envy of anyone sitting at a cafe eating their sad expensive avocado toast (sorry not sorry). Now before we get to the recipe let’s talk caramelised bananas – I say they are “optional” but they really aren’t. Make the extra effort to slice up some damn bananas and caramelise them. You won’t be sorry. This Easy Stovetop Banana Oatmeal is ready in 10 minutes, making it perfect for weekday mornings when you need a delicious breakfast is a flash. It's naturally sweetened with banana and is Vegan friendly. Add all ingredients into a saucepan and stir to combine. Heat over medium-high heat for 5 minutes, stirring regularly, until the liquid has absorbed and the oats are thick and fluffy. Heat oil and rice malt syrup in a small skillet on medium heat and stir to combine. Add cinnamon and vanilla and stir to combine. The mixture should have a caramel-like consistency. Place banana rounds into the skillet and cook each side for a few minutes until soft and golden. Divide the caramelised rounds evenly over the two bowls of oats. 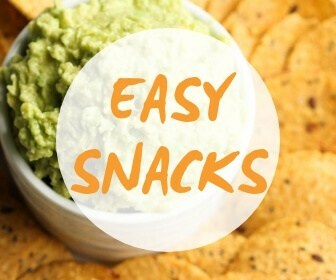 Adapted from Pinch of Yum. Feel free to sub almond milk for whichever milk you prefer. Feel free to sub rice malt syrup for honey or maple syrup. Nutrition information is for one bowl without toppings. Tried this recipe?Mention @cookitrealgood or tag #cookitrealgood! I can’t believe I’ve never thought to add banana to my porridge! What was I thinking? Can’t wait for breakfast tomorrow! I'm Cassie and I'm the Chief Recipe Creator, Food Photographer & Writer of Things here at Cook It Real Good. 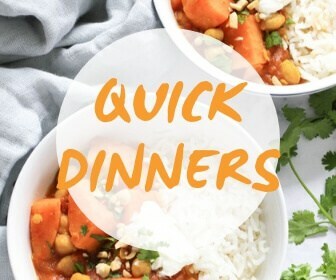 I'm passionate about creating quick, easy and healthy recipes that everyone can enjoy!